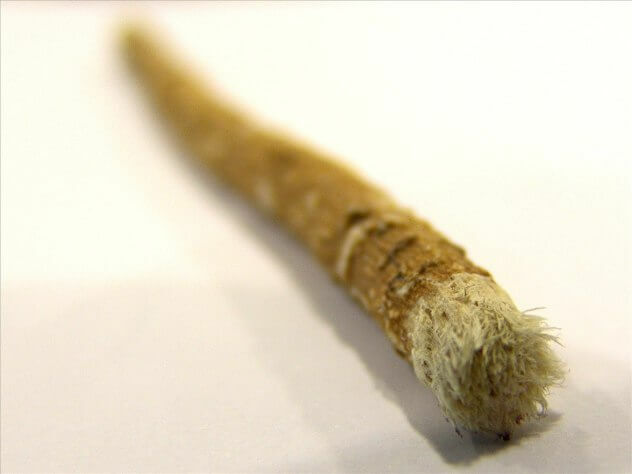 Dental Care through history: The First Toothbrush! You are here: Home / Blog / Cosmetic Dentistry / Dental Care through history: The first toothbrush! For many, a toothbrush is something they cannot live without, but have you ever wondered how people in the past took care of their teeth without them? Is not like cavities and gum disease are just recently affecting human mouths. We talked here about one of the first root canal procedures done by people almost over 14,000 years ago, with the help tiny stone needles. So what about the every day cleaning of teeth? One of the most easy and common ways to keep the bigger food debris off the teeth would have been using wooden or stone toothpicks. Sadly, this wouldn’t have helped to fight the plaque still building up on the surface of the teeth. We can only assume people would have used only their finger to clean visible bits of food. The ancient Babylonians and Egyptians developed a good alternative using twigs with a frayed soft ends to work like brushes. Twigs from aromatic bushes were preferred. This could be regarded as the very first toothbrush. People would also make concoctions with herbs to make mouthwash to combat bad breath. Sadly, the frayed stick toothbrush didn’t take a hold on the habits of the rest of the world. Twigs would brake and rot so it wasn’t always an option. There was a need for something more lasting. Mean while, in Asia, the Chinese developed a toothbrush made with hard bristles and some of them were brought to the west by European travelers and merchants, but it would take a while before it became a common sight. People would still clean their teeth with toothpicks and maybe use a cloth to rub off plaque from the surface of the teeth. Coincidentally, is in this era when barbers started to branch off and specialize to study oral health, as they had been pretty much the only people allowed to offer teeth extraction services. By 1600 these first dentists started to promote the use of toothbrushes as first line of defense against cavities and other maladies of the mouth. The first “modern” toothbrush as we know it, was manufactured in mass by William Addis, who made a fortune out of it and since then it has become an object essential for everyday life. In fact, because toothbrushes are such a basic tool for people’s health around the world, it was regarded as one of the most important inventions in history. So make sure you don’t forget to floss your teeth at least twice a day! Amazing things to do in Cancun on your dental vacation! Alternative uses for toothpastes! How many do you know? Another patient happy with our dentists in Cancun Cosmetic Dentistry! Live Implant Surgery Course in Cancun, May 2016! A new Cancun Cosmetic Dentistry Happy Patient!